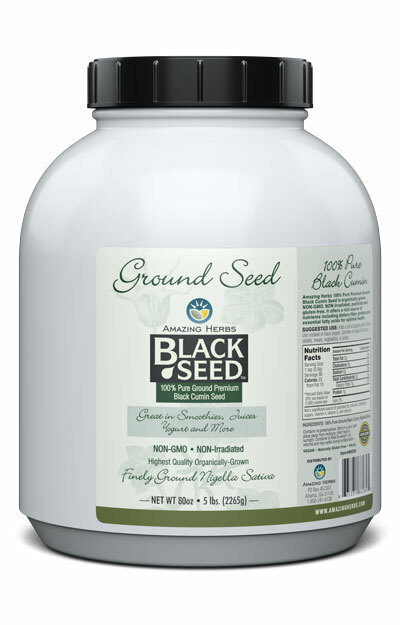 5lbs (128oz) - Adds a bit of peppery zest to foods. Use instead of black pepper. Sprinkle on foods like soups, salads, meats, vegetables or pasta. 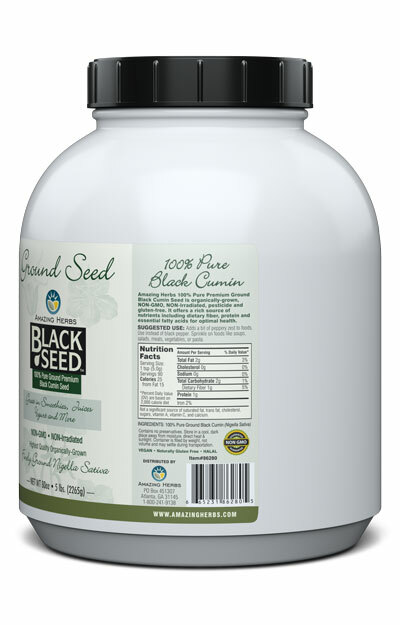 Ingredients: 100% Pure, non-iradiated, untreated, and unwashed finely ground Black Cumin Seed herb.